Boingo is a Wi-Fi service that has over 600,000 commercial hotspots around the globe. If you are a Boingo subscriber, the company has recently released a hotspot finder for your Windows 8 device. 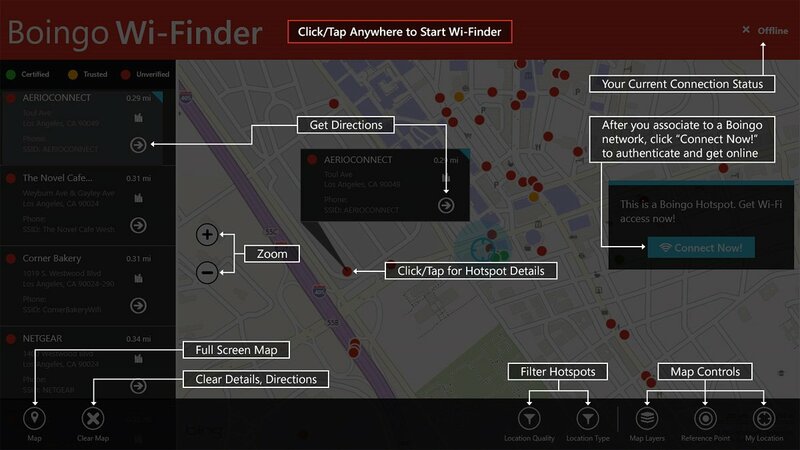 From Windows 8 laptops to tablets, the Boingo Wi-Finder app will help you find the closest Boingo hotspot in your area. The Boingo Wi-Finder can be set to alert users when they near Boingo hotspot and an auto-login feature can be enabled for quick, seamless connections. 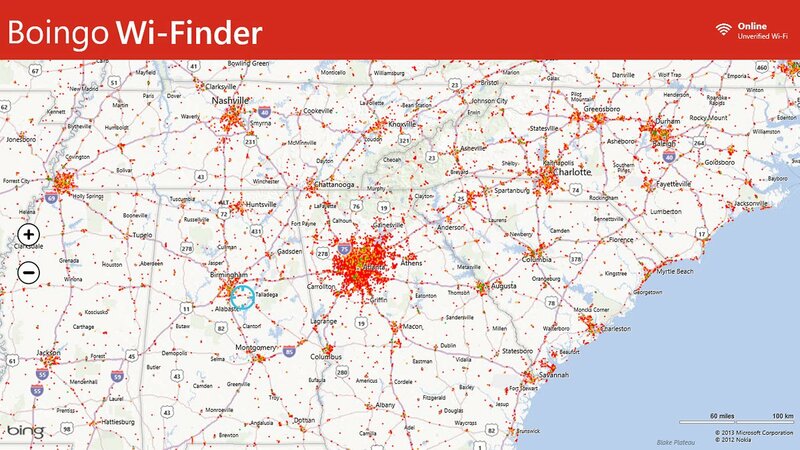 The map view (provided by Bing) of the Wi-Finder lets you filter hotspots, search for hotspots, pull up the hotspot details and generate directions on how to get to the hotspot. Boingo Wi-Fi plans start in the neighborhood of $7.95 for smartphones/tablets and $9.95 for laptops. You can find all the details and fine print on the Boingo Wi-Fi service here at Boingo's website. 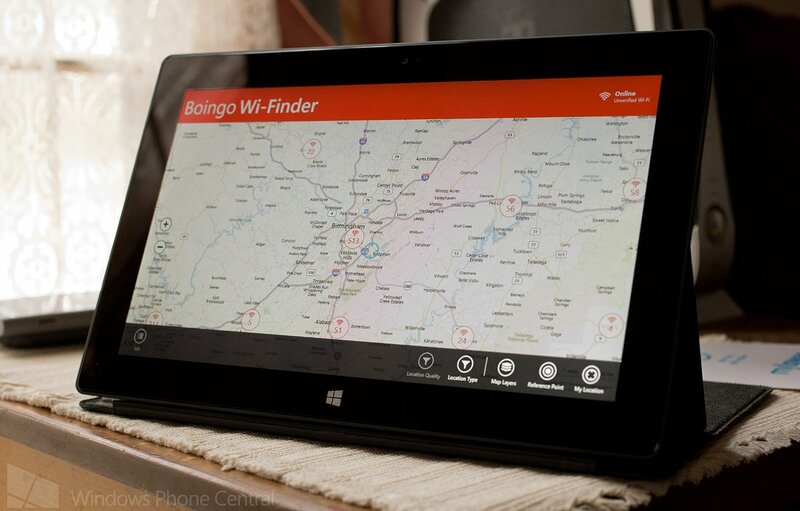 The Boingo Wi-Finder app is free and you can find it here in the Windows 8 Store.